A number of hand held devices are available for monitoring in many different situations including monitoring for suspended solids in mixed liquor and dissolved oxygen. We also supply portable photometers that can be used to monitor a vast range of water parameters. The Macherey Nagel PF12 can measure all the parameters in the Nanocolor range. The MN compact PF3 range are designed to measure specific application-based parameters. Envitech can offer a whole range of aerobic and anaerobic respirometers for a wide range of respirometer applications. Take a look at the range of equipment available by clicking the link. Envitech Ltd are UK distributors for Macherey Nagel test kits and photometers. The photometers are available as portable or benchtop devices, and can be used to measure a vast array of water and wastewater parameters. each kit comes with instructions and safety data - some tests need accessories such as heating blocks for digestion phase. Test kits are quality controlled and manufactured with a high degree of integrity. Please get in touch to discuss your requirements for lab or field photometers, or any of the vast range of Macherey Nagel test kits and test-strips. The popular and comprehensive Nanocolor range need to be used with a photometer, but other ranges such as Visocolor and Quantofix can be used without. The QuickCOD lab is a laboratory version of the proven High Temp oxidation method incorporated within the QuickCOD analysers available from LAR for process measurements. The sample is injected into the reactor using a precision syringe. We can supply a range of products such as the telescoop sample collection system. This makes manual samling easy by providing an adjustable 'arm' which can hold a variety of sampling beakers. You can specify your own system (arm length and beaker size/material) to suit your own requirements. 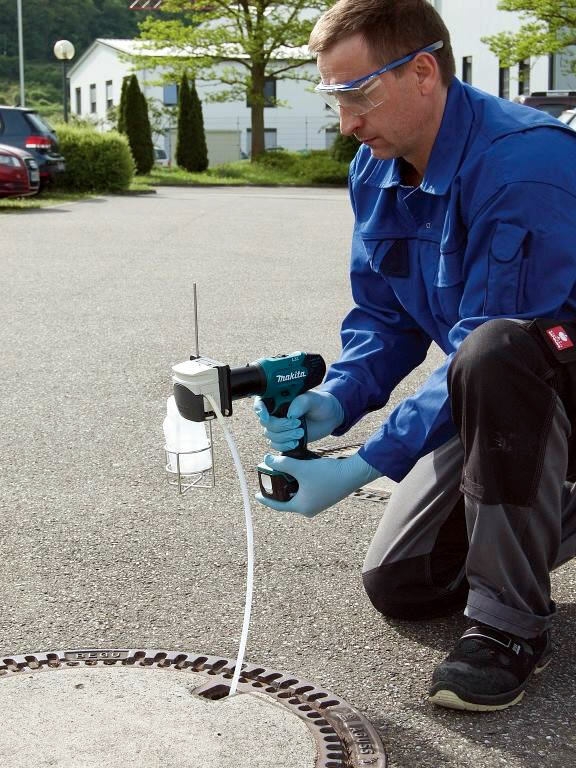 This range also includes the 'Vampire' sampler which uses a high quality drill motor and pump head to provide a truly portable motorised pump sampling system.